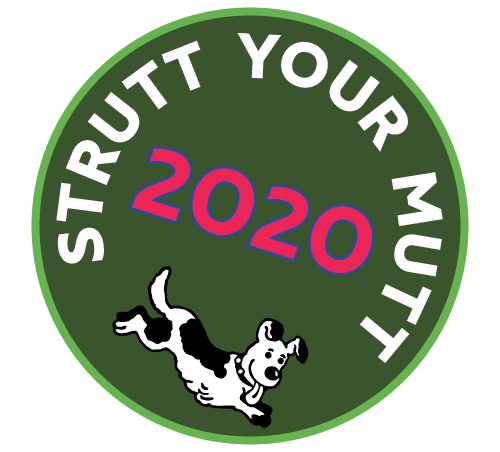 What is a Strutt Your Mutt Walk? First of all, it is just that it’s not a competition at all. This is purely a Fun Event with a two and five mile route from you to choose from, both are round trips that will take you though some truly amazing countryside. You can enter at a time to suit you and walk it at your own pace. It is open to any age and ability, individual, family or group, with or without a dog, how fast and far you go is up to you. All entrants will receive a goodie bag and a rosette for their dog upon completion of the course. What is the aim of the day? There are two aims. The first is that this family fun day brings people together on the picturesque Benacre Estate and celebrates the unique relationship that we share with our dogs. The second is to raise funds for Hearing Dogs for Deaf people. In a nutshell, they train dogs to alert deaf people to sounds they would otherwise miss – simple sounds that many people take for granted like the doorbell, alarm clock and even danger signals like the fire alarm. Being aware of these – thanks to a hearing dog – makes a real difference to deaf people’s lives. As you can imagine having a hearing dog brings independence, confidence and companionship. By taking part in Strutt Your Mutt, we can all make a difference and by raising sponsorship for the walk we can make an even larger donation. This is very much meant to be a fun and enjoyable event and the majority of people entering will be ordinary people of average fitness. Taking place in June it can occasionally be quite warm but there is no hurry and there are lots of places to sit and rest for a while. We even have toilets and a refreshment tent half way round the longer walk, with some spectacular views across Benacre broad. Strutt your Mutt is a great opportunity to learn more about this beautiful area and the plants and animals that inhabit it. It is a fascinating example of England’s countryside at its diverse best with our walks taking visitors through a wide range of habitats ranging from farmland to heathland and from woodland to beach. Part of the estate has been internationally recognised as an area of special conservation value and is well worth the walk so take your binoculars and camera with you. Please note, as well as entry to the walk, this price entitles you to access the main event site, with arena displays, trade stands, refreshments and live music. We regret that we cannot refund your registration fee once you have paid. How much should I raise in sponsorship? Hearing Dogs for Deaf People needs all the help it can get and we hope that each entrant will raise as much as possible by obtaining sponsors and we have prizes for those who raise the most! most by a team of 4 people walking together. Raising money for good causes makes all the effort worthwhile. You can download a sponsor form from the downloads section. We ask that all monies raised is paid in no later than July 15th 2017. What is the route and how difficult is it? The route starts at the signed gateway approximately 100yards from the main car park. You will then be free to make your own way, at your own pace shown on the “Route” page. There will be stewards at key points to guide you. The route is easy going and suitable for all abilities. The sooner, the better. Registration is now open. You can register either register off line downloaded here or on line here. Simply use either of these options from now until the event day itself. We will however allow registration on the day, but we really hope you will register beforehand and raise sponsorship for your walk. What happens if I am ill or just can't make it on the day? If you are ill, please do not attempt to come. Your health and well-being comes first. We regret however that there can be no refunds for non-attendance. If you have any conditions that require medication we do recommend that you complete a “Medical record” form where you can record your medical details and the person to contact in case of any emergencies. Please carry this with you during the event. All monies collected through sponsorship and raised on the day through entry fees will ALL be donated to Hearing Dogs for Deaf People. A number of us want to walk together; can we send one cheque to cover us all? Yes, just send the forms in together with one cheque to cover everyone. You may like to take part displaying your groups or company logo or your name on your T-shirts - it's free advertising! I am a wheelchair user, can I take part? Sorry no, the conditions out on the walk route are not suitable but you will be very welcome on the main event site to come and enjoy all the displays and activities taking place there. Can I bring a pushchair or buggy? Yes, of course although some places according to the weather may be a little muddy. We would ask though that you are aware of and are considerate to other participants along the way. We love dogs and you are welcome to bring as many dogs as you can handle safely , but please make sure that they are on a lead . Can my sponsors use Gift Aid to maximise the amount raised? Yes please! Encourage your sponsors, if they are UK Tax payers, to tick the "Gift Aid it" box on the sponsorship form. This enables us to obtain gift aid on your sponsorship at no cost to you or your sponsor. It is important that each sponsor provides their home address and postal code. If this is not completed, the Inland Revenue will not agree to Gift Aid. How do I arrange sponsorship? You can download a sponsorship form for you to use from the downloads section of the website. Do I have to sign-in when I arrive? Yes. For health & safety reasons, we need to know who is taking part, so it is vital that you sign in on arrival. You should wear comfortable clothing suitable for the weather conditions on the day. Suitable footwear is recommended. Please remember sun protection if we are blessed with a lovely sunny day. Car parking facilities will be available on the recognised car parks. Please remember to secure your car before you leave for your walk. There will be toilets available in the barn at Woodfarm, portable toilets on the event site and on-route. The event opens at 9am and you can start your walk right up until 4pm.